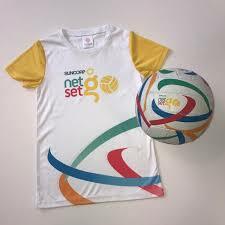 Suncorp NetSetGO! (5 to 9 yrs) is a 6 week structured program that teaches netball related fundamental motor skills with fun and games. It provides a terrific opportunity to meet new friends for not only the children, but parents too. The weekly program is coordinated by accredited coaches to ensure a quality experience for all participants. We run our program in term 4. Watch this space for more information in August.